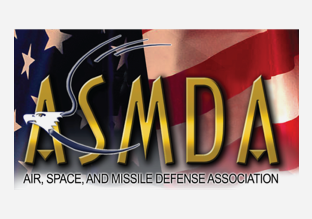 The Space and Missile Defense (SMD) Symposium has partnered with Defense News to bring heightened awareness of the news, policy and technology surrounding the industry, through multimedia coverage of the event. 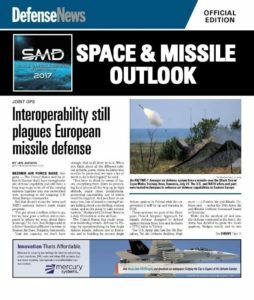 The Space & Missile Outlook print edition will be distributed at the show to all the attendees, speakers and local hotels as well as a booth drop to exhibitors. This official print edition will feature news, analyses, interviews, and essays from industry and government thought leaders on the state of global missile defense and emerging technology. If your firm is interested in advertising in the Space and Missile Outlook or C4ISRNET, contact your local Defense Newsrepresentative or Jerry Foley (gfoley@defensenews.com) today and take advantage of Defense News’reach and influence across the international defense market. 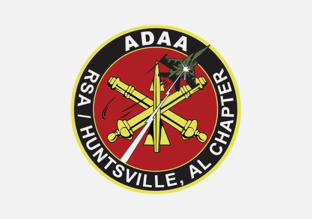 Defense NewsDigital Show Daily: A powerful multimedia package that provides updates from SMD Symposium including, breaking news, timely analyses, on-site videos, photo galleries and more. Reach close to 700,000 online visitors who come to defensenews.com for content.